i love your work becki! dont know how i wasn't a follower before, thought i was! Beautiful colors :) please be mine :) !! I am now a follower (Scrappy Julie). Washi tape ? Yummy !!! FOLLOWING YOUR BLOG and hoping to win Washi! 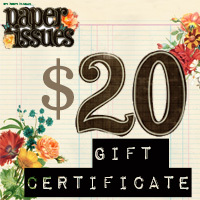 I love all things Washi and Paper Issues!! :). Thanks for the chance! I am a new follower! I love Washi Tape!! Thanks for the giveaway!! I would love to win your wonderful prize of a gift card and washi tape. I just started to use it on cards, and planning on using it on my page layouts. I just love it so much. Thank you for this fun chance to win. Following. Washi is definitely a new addiction for me by the look of my stash accumulated over a short period of time. Have a super day, Becki. Love washi tape. I am a follower. I love washi tape and am now a new follower. Thanks for the chance. Happy new follower! :) Thanks for the giveaway! colors are oh so bring on the summer!!! what gorgeous tape you have! i'm a new follower. thanks for sponsoring a great giveaway! already following..ALWAYS loved your work! New follower, thanks for the chance at such a great giveaway! so happy to be your newest follower! super cute blog! I am a new follower - great blog too!! New follower! Thanks for the chance! I am now a follower of your fabulous blog! Thank you for the chance to win an awesome giveaway!! Love me some washi tape and my paper issues store wish list is sooo long! Have a great day! Who doesn't love washi tape?? Count me in!! I'm your newest follower!! paper issues sent me, went through your blog and your stuff is adorable! LOVE Washi!!! I'm a new follower as well!!! i'm a new follower! thanks for the giveaway! BB tape is my fave! Newest follower! Fun blog!! :) thanks for the chance to win! Thanks for the chance to win ! Became a follower ! I'm a follower now Great work!! I'm a follower! Love your work! Already a follower. Thanks for the chance to win. Following your blog and hoping to win some washi too! Thanks for a chance to win! I just discovered your blog Becky (thanks to Facebook) and I'm now a follower. I love what you do, and I also love the name of your Blog. I will follow you very closely. Thanks for the chance to win !!!! Hi Becki. I just became a follower of your blog ... so very nice to meet you! Don't you just LOVE washi tape? It's my new favorite product in my cardmaking craft. Thanks for the chance to win! im a new follower and need wash!!! thanks! Found you on Facebook, now I'm a follower. Thanks. woo hoo! So happy to be a new follower! Can't wait to see what you'll be making for them! I am a follower! Such fun tapes! Thank you for the chance to win! following. thanks for participating in PIs birthday bash. I'm a new follower, love the washi tape, thanks for a chance to win! New follower here! I love washi tape-and these are gorgeous! I'm a new follower! Happy to have found your blog through Paper Issues! Thanks for a chance at a fabulous prize! I'm your follower now. Thanks for the chance to win. Im now a follower,and I luv me some washi tape! Oh, what a great prize! I really love your blog. It's fresh, and your project are amazing. I'm so going to get back here, and soon! Thank you for chance to win! This is a awesome chance and thanks for the same. Wishing Cassie a very Happy Birthday!! Great stuff, love these! I am a follower! I've been looking at your blog and I'm in awe of all the cute things here!! Good thing I'm your new follower, thanks for the chance to win! Happy to be a new follower on GFC! 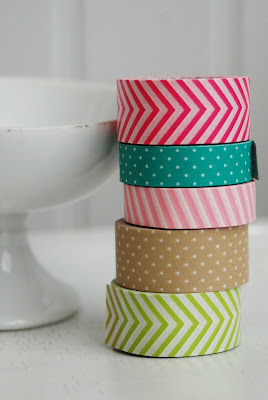 I am a follower of your blog and just found washi tape! I do not have a large collection but would like to start! This sound amazing and I am glad I have found this wonderful blog! New follower here!! Thanks for the chance! Oooooh, everybody loves washi!! New follower. I am a new follower, love your blog! Thanks for the chance!! Hi. I'm a new follower. What a lovely giveaway you are having. I'm a new follower. Thank you for the chance to win some fun washi tape, I've never played with any so I'm excited! 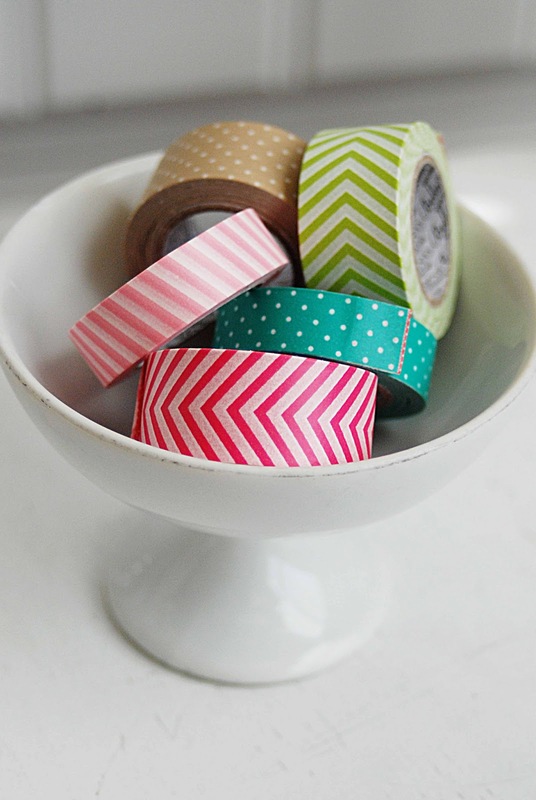 I just became a follower and LOVE LOVE LOVE washi tape! I'm now a follower! Thanks for the chance to win! New follower! Thanks so much! I am a new follower and haven't really used washi tape much but that's because I don't have any!! Thanks for the great giveaway! New follower! Thanks for the awesome give away! New follower, what a fun prize. Following, gotta love washi tape! I am your newest follower. Thanks.